Do you like fantasy movies? If you don’t, it’s about time to start watching them, because what we have seen in sci-fi and fantasy films in the last decade is getting real with every new technology advancement. Everyday things around us are becoming smarter, sometimes even smarter than ourselves. And when you think about it in perspective it is actually more disturbing than fun. However, I am always for the tech progress rather than against it and internet of things (IoT) is no exception. IoT is the next big thing and it’s already here. Although IoT is booming today, it is not new and tech companies have been working on interconnected smart gadgets for quite a while now. That is why we’ve been offered a variety of innovational products at each tech exhibition this year. As we can see from its rapid development, IoT is going to grow even more in coming years and eventually all of us will have access to it. Therefore, as UX people we need to go through some of the challenges it brings in terms of UX/usability and see if we can embrace them for the good of our users. First of all, let’s acknowledge the fact that Internet of Things, as its name suggests, is nothing without a network connection, because that is how data is transferred between devices without human intervention. It doesn’t really matter whether the connection is wireless or not, although most of the IoT devices available today work via WiFi. Now, for a second let’s go back to our smartphones and computers. I am sure all of us experience occasional connectivity problems, say poor connection during a video call, slow loading websites, mobile apps crushes, etc. But however annoying it is, we are used to such glitches. Whereas it is not something we would expect from our toasters, room lighting and garage doors. The user experience of everyday things is in fact quite different from that of the web stuff. When we turn off the lights, we expect an immediate response. But what if the connection is poor at the moment and it takes a couple of minutes for the lights to go out? What if you can’t open the fridge because the system is down? I am not sure if the user is ready for this, because there certainly will be such problems, especially with the first generation of IoT. 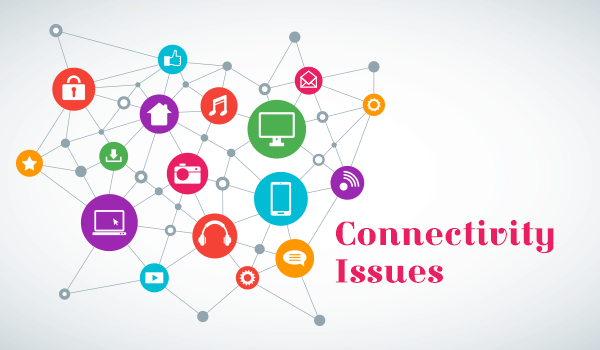 Connectivity issues are going to have a significant impact on the overall IoT experience and since it is a technical problem, there is little we can do about it. 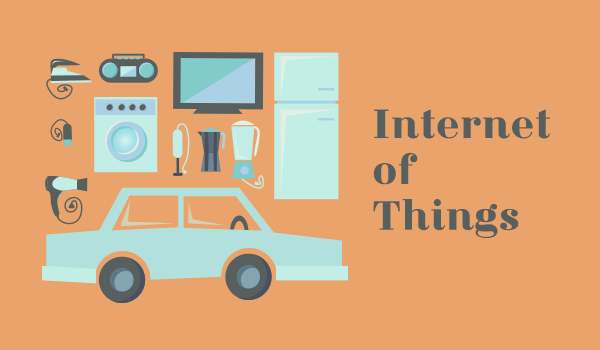 While the idea of IoT has been around for quite long it is just starting to enter the consumer market and there are still lots of questions and obstacles. One of the main problems is that there are plenty of connected devices out there and individually they are smart and useful, but they don’t work as a “team”. That is to say you cannot control the whole collection of your IoT devices from a single place and make them sync the data. So for instance if you have a smart car, a fitness tracker and a smart thermostat, you are going to have three different mobile apps for each of those. You won’t be able to set up a rule to adjust the temperature in the room according to your fitness tracker data and start your car as soon as the front door is locked. This breaks the overall user experience of IoT products. This kind of fragmented UX might in fact make our lives more complicated. Whereas the purpose of smart devices initially was to make the user’s life easier. There is some progress in this area though. A few major companies, like AllSeen Alliance and the Open Interconnect Consortium, are working to create an open standard which will allow interoperability between most IoT devices. In theory IoT is going to enhance our lives dramatically. Not only will it fulfill Steve Krug’s commandment (“Don’t make me think”), but will go even further and think for us. We will spend less time on monotonous, boring tasks and will have more time to do things that cannot yet be computerized, like love and friendship. All this sounds pretty good, but in reality Internet of things is still very young and just like the earliest websites, it might lack usability at first. 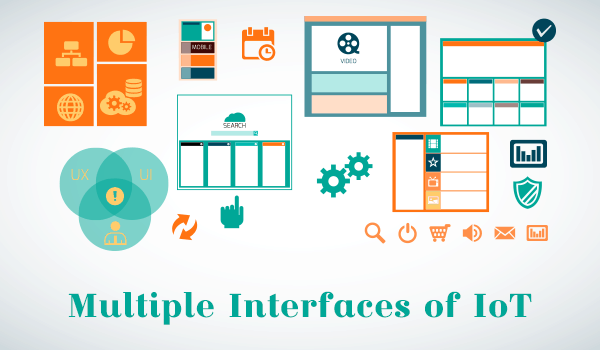 Most probably users will have to learn and memorize new gestures, icons, interfaces. In terms of simple usability, present day IoT might not be usable at all. Take for example the lights regulator. It takes just a single action to turn off the lights in a traditional context, while with a “smart lighting”, you perform 2-3 extra steps(swipe to unlock the phone, open the app, tap the right icon) to turn off the lights. On the other hand, if you are lying half asleep on the sofa, getting up to turn the lights off is definitely not an option. Anyway, if we conduct a quick heuristic evaluation of today’s IoT devices, we won’t like the results. But our traditional knowledge and practice in usability is not really applicable to IoT. So it is our job, as UX designers, to research the experience of end users with these new devices and optimize accordingly. The best possible way to embrace all of the challenges of IoT is to put yourself in user’s shoes and experience IoT the way a typical user would. This way you will discover the main usability pain points that need to be fixed, as well as discover how exactly the UX can be improved. But be careful and watch your devices closely, or your toaster and smart car may rebel against their master.